This fourth graphic novel in The Olympians series seems to be about Hades but follows more the story of Persephone. The reasons for this focus are detailed in the interesting Author's Note that follows the main narrative. Persephone appears in so few Greek myths and almost never except in the underworld, even though she spends only half her time there. With her O'Connor finds a blank slate that he uses to paint a portrait of a slightly rebellious young woman who is happy to explore life on her own beyond the yoke of her overbearing mother. The oft-told tale of a god kidnapping a young goddess to make her his bride is a strange one, and it receives a fresh twist because of the author's insights. The traditional high notes are here: Hades receives the Underworld as his domain after the defeat of the Titans. He seeks a wife and kidnaps the young Kore (who would change her name to Persephone). While Kore is with him, her mother Demeter, the goddess of agriculture and the harvest, grieves and the world falls into a state of barren winter. Hermes is finally sent to retrieve Persephone to revive Demeter and restore life to the Earth. But she has eaten a pomegranate, the food of the dead, and must remain in the Underworld for part of the year as consequence. This myth explains why there are seasons. 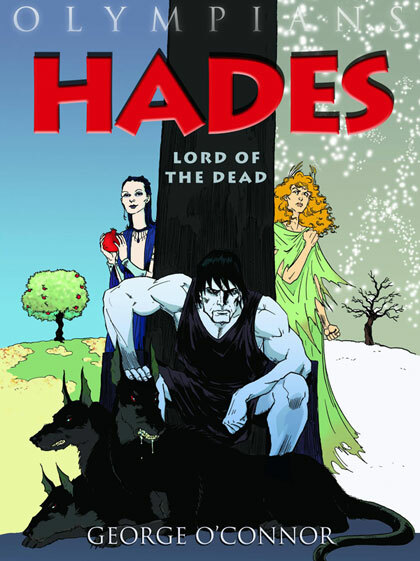 George O'Connor has created a number of graphic novels in addition to the well received Olympians books, Zeus, Athena, and Hera. His first one was the American history journal account Journey into Mohawk Country. He also has published a number of children's picture books. He keeps an online sketchbook of his latest projects here. Reviews for this book have been overwhelmingly positive. Rob McGonigal wrote that "this is a great book and a solid series for any young adult interested in exciting stories that can springboard them into a world of literature." Madigan McGillicuddy described this book as "deliciously spooky" and "riveting." She also commented that it "adds a modern touch to the stories that the Greeks told about the Underworld." The tough critics at Kirkus Reviews awarded a starred review and called it "an outstanding addition to a first-rate series." The book's publisher First Second provides an excerpt and discussion guide here. The story of The Odyssey is an ancient one, often retold. Odysseus, a wily general and tactician who is involved with the sacking of Troy, is waylaid multiple times as he tries to return home to the island of Ithaca. 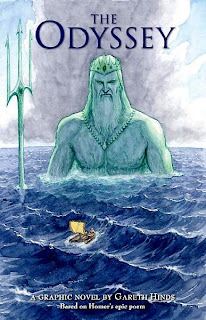 Because he tricked and blinded the cyclops Polyphemus he earned the wrath of the one-eyed monster's father, Poseidon, and he was doomed to fall into many pitfalls. He is held captive by the nymph Calypso who seeks to keep him with her for eternity as her mate. 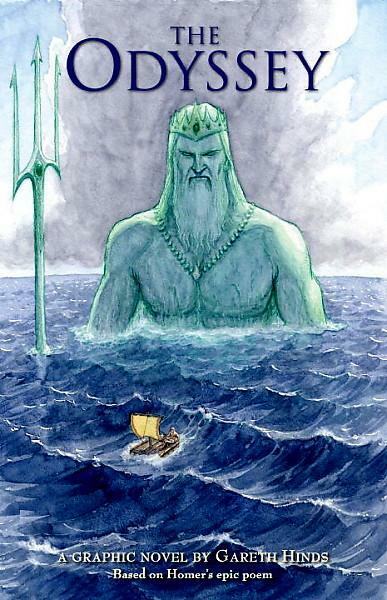 He and his crew have to deal with adversaries such as the witch Circe, the monsters Scylla and Charybdis, in addition to the treacherous sea. Finally, he arrives home, old, haggard, and alone, to find that his home is overrun with suitors who have been abusing his hospitality and seeking to marry his wife, the faithful Penelope. This beautiful adaptation was rendered by MC Pop member Gareth Hinds, who has a number of literary graphic novel adaptations under his belt. He has already done The Merchant of Venice, Beowulf, and King Lear, but in my opinion this one is his best yet. The watercolor paintings, framing, pacing, and language all combine to portray vivid scenes and emotional moments in fine fashion. The book seems very much a labor of love. Hinds speaks about the creation of this book in this interview with John Hogan at the Graphic Novel Reporter. This article by Publishers Weekly's Kate Culkin extensively covers the book and its promotion. As far as I can see, this book has been universally praised. The normally harsh critics at Kirkus Reviews called it "magnificent," "stunning," and "big, bold, beautiful." They also named it one of their 2010 Best for Teens books. Publishers Weekly concluded that The Odyssey is a "work that both honors the epic's long tradition and helps readers see these characters in a new light." There's a Book's the1stdaughter wrote that the book was "gorgeous" and "one of my absolute favorite graphic novel reads to date." The Odyssey was published by Candlewick Press. Previews, reviews, and more links can be found here at Hinds' official site. New Graphic Novel reviews site! I would like to direct your attention to a new graphic novel website I found with reviews by students. It's called Graphic Novel Reading Rainbow, and I also added it to the Other Sites of Interest tab on the lower right side of this page. This long, involved graphic novel reads very much like a Jonathan Franzen novel. By this I do not mean to say it is derivative but that it succeeds in experimenting with narrative form and also delivering quite powerful emotional reactions with economy. Bottomless Belly Button follows the Loony family during a 6 day long family reunion. The cast of characters includes the grandparents, the matriarch and patriarch of the family, a couple who have been married 40 years and have decided they want a divorce. Also there is their oldest son, Dennis, who comes with his wife Aki and their infant son Alex. Dennis is the "good son" and his own marriage is not great. He takes his parents' announcement particularly hard. Middle child Claire is a divorcee accompanied by her teenage daughter Jill. Rounding out the cast is Dennis, the youngest son, a stunted, loner film school graduate. He is depicted cartoonishly as looking like a frog. Over the course of the 6 days, we get to see how the Loonies interact, look into their love lives, and share in their thoughts and feelings. This graphic novel was made by Dash Shaw, a prolific artist, animator, and musician who has created a number of other sequential art works such as Bodyworld, Goddess Head, and The Mother's Mouth. His works push the boundaries of what comics can depict, and they have been published in the US and abroad. Most recently, Shaw has been working on an animated feature, The Ruined Cast. He speaks more about his life and career in this New York article. Reviews have been positive, ranging from gushing to more measured. The New York Times called BBB engrossing and offered that the book "packs a wallop." Craig Taylor wrote that Shaw flirts with "navel gazing" but succeeds in depicting "small moments of change with the clarity of a novelist." Charles Hatfield opined that "Shaw's grasp of the family is admirably complex" and also wrote positively about how the book "is full of formal gambits that are meant to render legible things that are usually not caught by comics: dust motes sparkling in sunlight, the glare of fluorescent lights, what it feels like to immerse your body in seawater." I echo his conclusions that this BBB is "not perfect" but it is "a very strong, very cool book." Bottomless Belly Button was published by Fantagraphics, who provide a good number of links and previews here. A video trailer and sizable excerpt is also available here at Shaw's website. Here is a great interview Faith Erin Hicks did with John Hogan at Graphic Novel Reporter about Friends with Boys. Enjoy! 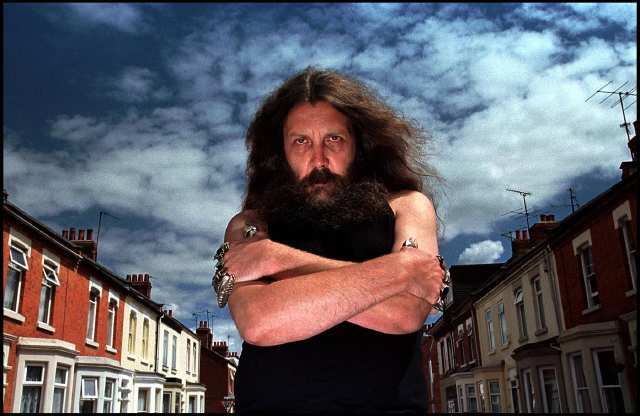 Alan Moore talks about Watchmen, his career, the comics industry, and the upcoming Before Watchmen books DC Comics is publishing in this great interview with Seraphemera Books comic writer Kurt Amacker. It's a lengthy and thorough piece, definitely well worth your time to read. I remember this macabre nursery rhyme from when I was a child and apparently it is still in circulation. 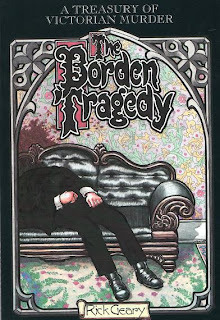 The Borden Tragedy, which is based on research gathered from a number of sources, lets us in on the facts of the case. Andrew Borden was a prosperous businessman in Fall River, Massachusetts who had two children by his first wife Sarah. After being widowed, he remarried, and his two daughters Emma and Lizzie never took to their new mother, Abby. During the hot, humid summer of 1892, Andrew and Abby were found in their home brutally butchered by an ax. Accusations and conjectures flew about, and eventually Lizzie was indicted and tried for the crime. In the end, she was acquitted, but she never left Fall River and remained a notorious figure her entire life (and beyond). This incident seems like one in a long line of sensationalized murder tales that have entranced Americans. The facts in the story are detailed in this graphic novel in an expedient way that allows the reader to pick up on them as well as be swept into the narrative. It is also interesting to see the back matter that contains newspaper accounts of the day concerning the case. Rick Geary, a multiple award winning comics artist, does his usual top-notch job of rendering historical scenes with great accuracy and detail as well as catching readers up in a tight plot. Reviews of this, as with many of Geary's books, are very positive. 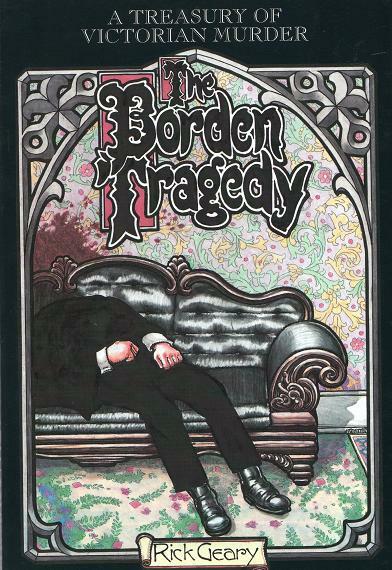 Seth T. Hahne wrote that "Geary’s talent as a comics creator is evident" and that this graphic novel "serves as a fantastic primer to a famous unsolved double murder." Kelly Grant found the book "a chilling, immensely readable summary of the facts of one of nineteenth-century America’s most infamous crime." Publishers Weekly gave the book a starred review. NBM, the book's publisher, provide a brief excerpt. For those interested in Lizzie Borden, there is a recent new development about her. Some recently uncovered journals written by her lawyer have shed more light on her life. Garth Hale is a young boy with an incurable condition, but he ends up in the afterlife much earlier than expected after a goof by ghost hunter Frank Gallows. While in the ghost-world, Garth meets his grandfather, finds out he has special powers, and also becomes a target for the realm's malevolent ruler. Accompanied by a skeletal horse, Garth and his grandfather seek to avoid capture and also find him a way to get home. Meanwhile, Gallows is trying to assemble his own rescue team despite the fact that the last such venture led to the loss of the entire team. What is truly wonderful about this story is the detail afforded to Ghostopolis. With its unique inhabitants, seven distinct districts, and set of rules, the afterlife has its own logic and mythology that makes it ripe for storytelling. Doug TenNapel is famous as the creator of Earthworm Jim, a character who has starred in a number of video games as well as appeared in cartoons and a line of toys. In addition to his work on EWJ, he also has worked in animation, music, and graphic novels, including Creature Tech, Bad Island, and Tommysaurus Rex. He also won an Eisner Award for Best Humor Publication for his contribution to the Bart Simpson's Treehouse of Horror anthology in 2000. 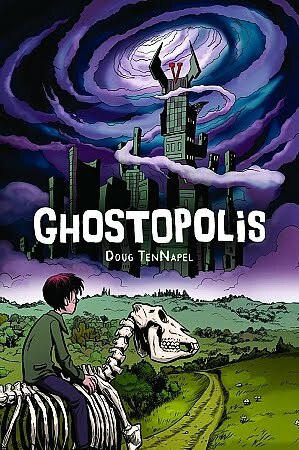 TenNapel speaks extensively about creating Ghostopolis in this interview at CBR. 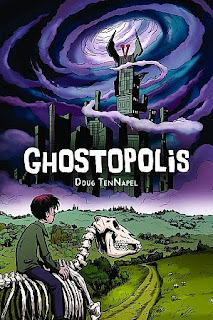 Ghostopolis was nominated for two 2011 Eisner Awards for Best Publication for Teens and Best Lettering. Most reviews I have seem reflect a positive opinion about the book. Jonathan Liu wrote that "TenNapel does a fine job of mixing humor, action and even some genuine emotion without getting too schmaltzy." John Hogan called it "a highly enjoyable read from start to finish" that would appeal to readers young and old. Teen reader Stacy Church offered this opinion: "the artwork is great, there’s romance, suspense, lots of gory fights and killing…what more could you ask for in a graphic novel?" Some discussion questions and review quotes can be found here from the book's publisher Scholastic Graphix. For those interested, a movie version starring Hugh Jackman is also in the works. Hark! 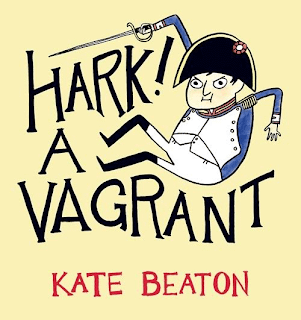 A Vagrant is not really a graphic novel but a collection of comics from Kate Beaton. This history and anthropology graduate has a wide range of interests presented here (with commentary) in warm, idiosyncratic, insightful, and hilarious fashion. Adaptations of classic literature such as Wuthering Heights and Robinson Crusoe brush shoulders with a cigarette-smoking, off-put Wonder Woman. Historical figures like Arctic pioneer Matthew Henson and 15th century peasants are cast in a much different light than usual, not exactly disrespectfully but in a very humanized manner. These comics are full of personality, brilliantly rendered and presented. Also, I should add, some of them feature profanity and/or adult situations, so this is not exactly a book for the general student population. Kate Beaton is a Canadian artist currently living and working in New York. Her work has appeared in numerous anthologies, such as Marvel Comics' Strange Tales and Dark Horse Presents, and even in the prestigious The New Yorker magazine. Although she is relatively new to the comics field, she is amassing quite a list of accolades. Her self-published History Comics won the 2009 Doug Wright Award for Best Emerging Talent. 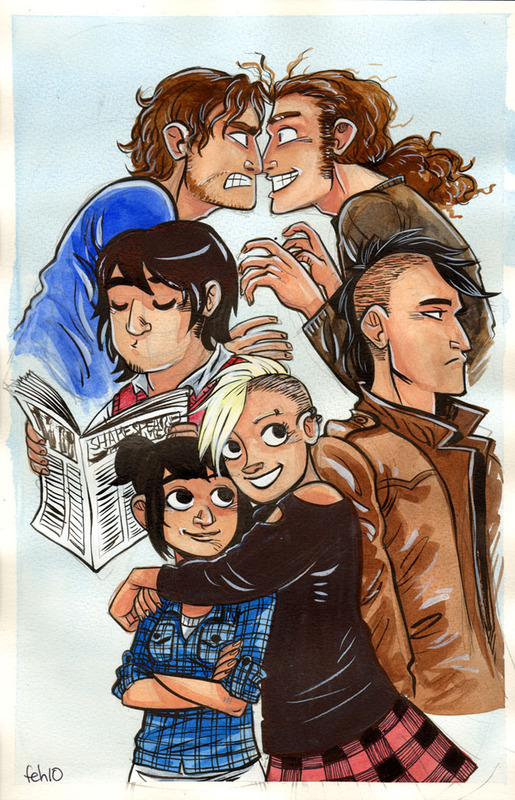 She also won the 2011 Harvey Award for Best Online Comics Work. She talks more about her influences and work in this interview in the Paris Review Daily. Thus far, the reviews I have read have been almost totally positive. CBR's Kelly Thompson gushed, "the book is a must have for any comics fan that likes their humor smart and their visuals hilarious." Barnes and Noble's Paul Di Filippo called this book "wonderfully nonsensical and risible, yet somehow seductively educational" and Beaton's art "marvelous, loose-jointed, lively, and not over-perfected." The Comic Journal's Rob Clough wrote that this collection "wobbles at times" but augurs great work to come. This compilation was published by Drawn & Quarterly. They provide a preview here. In addition, Beaton has a tumblr of art and "research" you can view here. Her webcomic is still being published on an irregular basis. 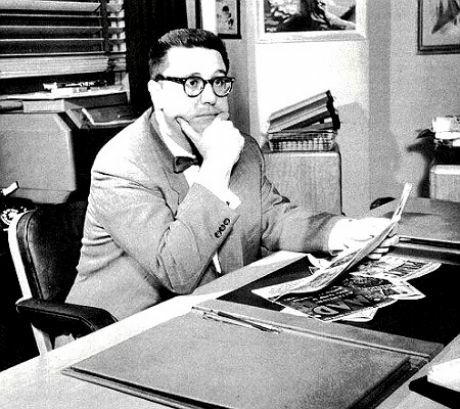 Bill Gaines came into comics as part of the family business. His father, Max, was a pioneer who tested out the potential for the pamphlet sized comic book format that is still used today. He went on to be a co-publisher of All American Comics, which would later be folded into what has become DC Comics, and had a large hand in the introductions of both Green Lantern and Wonder Woman. He went on to start another publishing company, Educational Comics, which put out Bible stories, scientific accounts, and tales from American history. After Max's untimely death in a boating accident, instead of becoming a chemistry teacher the 25 year old Bill was thrust into the role of comics publisher. He reformed his father's company into Entertaining Comics, later abbreviated EC, and produced comic books in genres that revolutionized the industry. He attracted top talent, writers and artists, to make titles such as Tales from the Crypt, The Vault of Horror, Shock SuspenStories, Weird Science, and Weird Fantasy. Gory tales of terror and revenge with shock endings as well as science fiction yarns populated the comics racks as imitators tried to emulate his company's success. He branched off into other areas, with comics from editor/creator Harvey Kurtzman such as the anti-war Two Fisted Tales and the satirical Mad. When comic books came under fire for promoting juvenile delinquency, a Senate subcommittee was convened and Bill Gaines volunteered to speak out in defense of his books. After a long day of proceedings where Dr. Frederic Wertham was given center stage to air his anti-comics views, Gaines tripped up in defending this comic book cover, quibbling over how it could be defined as "tasteful" or not. You can read Gaines' testimony here. The result of the Senate inquiry was the creation of an industry-wide Comics Code Authority that policed content and art. Almost all of EC Comics' output was immediately unacceptable in this system and Gaines was eventually forced to shut down the whole operation, with the exception of moving Mad to a magazine format that was unaffected by the Code. As publisher of Mad, Gaines recreated his persona as a cheap, fat, and hedonistic publisher wrangling the "Usual Gang of Idiots." Mad went on to become an American institution, an influence on the counter-culture movement of the 1960s, and led to the rise of shows like Saturday Night Live, The Daily Show, and The Simpsons as well as publications like National Lampoon and The Onion. Impressively, Mad ran for decades solely on its circulation profits without selling any advertising space. When he died in 1992, they published a full page ad in The New York Times to let people know that the magazine would continue in his absence. 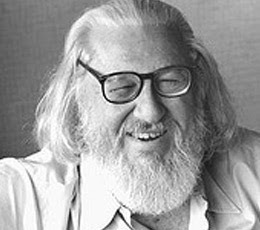 A looming figure in the history of comics and graphic novels, Bill Gaines was inducted posthumously into both the Will Eisner and the Jack Kirby Comic Book Halls of Fame. This annotated transcript of his memorial service is very much in the spirit of his life and sense of humor, and it also displays a small amount of what was lost by his passing.